Gulfstream Aerospace Corp. announced the all-new, clean-sheet Gulfstream G500 and Gulfstream G600 will make their first appearance at the Middle East and North Africa Business Aviation Association (MEBAA) airshow which will be held at Dubai World Central in Jebel Ali from 10 to 12 December 2018. These all-new aircraft will join the Gulfstream fleet, including the super-midsize Gulfstream G280, the high-performing Gulfstream G550 and the flagship Gulfstream G650ER. “We are proud to showcase our latest aircraft, the G500 and G600, along with the full complement of the proven, reliable Gulfstream fleet at the MEBAA Show,” said Mark Burns, President, Gulfstream. “We have been delivering aircraft to this region since the 1960s and value the commitment of our customers and their recognition of the benefits delivered by the evolving Gulfstream product line,” he added. 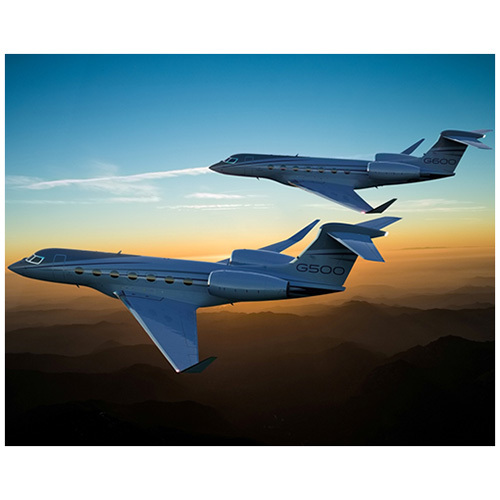 To meet the diverse transportation needs of the future, Gulfstream offers a comprehensive fleet of aircraft, comprising the Gulfstream G280™, the Gulfstream G550™, the Gulfstream G500™, the Gulfstream G600™, the Gulfstream G650™ and the Gulfstream G650ER™.